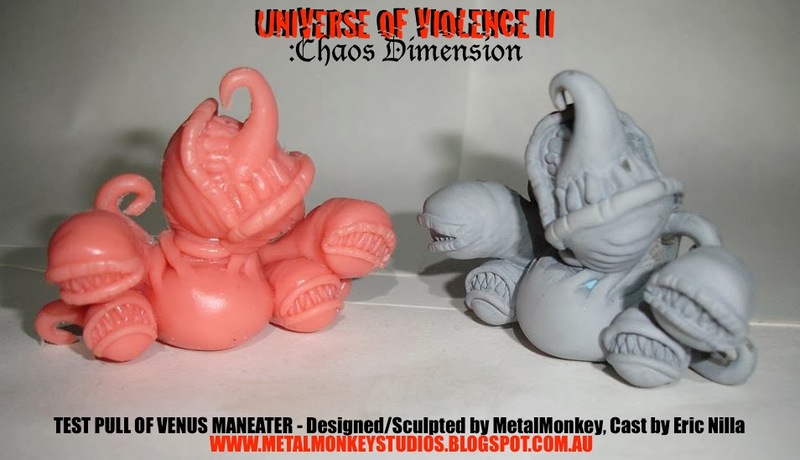 Ironhaus Productions OZ: PRESENT to FUTURE - UNIVERSE OF VIOLENCE II - Wave 1 Test Pulls & New Character! PRESENT to FUTURE - UNIVERSE OF VIOLENCE II - Wave 1 Test Pulls & New Character! 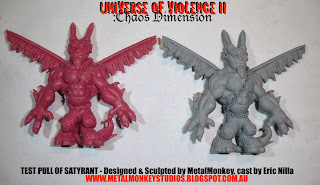 The new year is here and to start with I'd like to share some progress of the upcoming Universe of Violence II : Chaos Dimension minifigures line I've been working on. I know I keep saying 'upcoming'... but were getting really close now guys! First up, courtesy of the amazingly talented Eric Nilla we have the very first Test Pulls of the Wave 1 figures, Venus Maneater & Satyrant. Cast in Eric's gorgeous MIMP like rubber, I gotta say how excited I am to see these guys turn out so well! Eric truly did a remarkable getting them moulded and cast up. Id just like to take this moment and give a big shout-out thank you to both Eric & Jimmy for all your helpful advice & endless support. Without you guys, this would never have happened. The first initial release of figures is coming in the next few weeks if all goes well. I will make a more formal announcement for time and dates, as well as pricing in the coming days. I'll also be unveiling my storenvy where I will be unloading some of these guys! 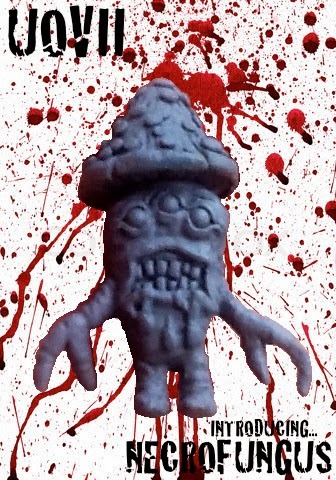 Eric Nilla will also be releasing some in his store too, so keep an eye on his blog HERE and his storenvy HERE for any updates. Whilst your'e there, why not check out all the cool custom castings & Keshi he has on offer. A little backstory on the character, which is a first for me. An oversized undead fungus with 3 eyes that work independently to seek out its prey. It usually sleeps when resting, semi submerged in the ground with its long tendrils protruding out of the earth that act as sensory receptors to nearby stimuli. It stores a noxious blend of narcotics in its mycelium and if disturbed it will release a poisonous gas cloud that sedates its target rendering them incapable. It then proceeds to feast on the prey and go on to spawn dozens of tiny offspring. 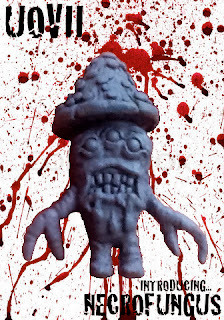 Sometimes the prey survives, but a single bit from this fiend is enough to infect them with the zombie virus. How this living pulp of fungus came to be infected remains somewhat a mystery.. but it's purported that a hungry zombie mistook a Toadstool for some brains, picked it up and ate it but spat it out dissatisfied by the taste. He may be slow but not to be taken lightly, especially in numbers. 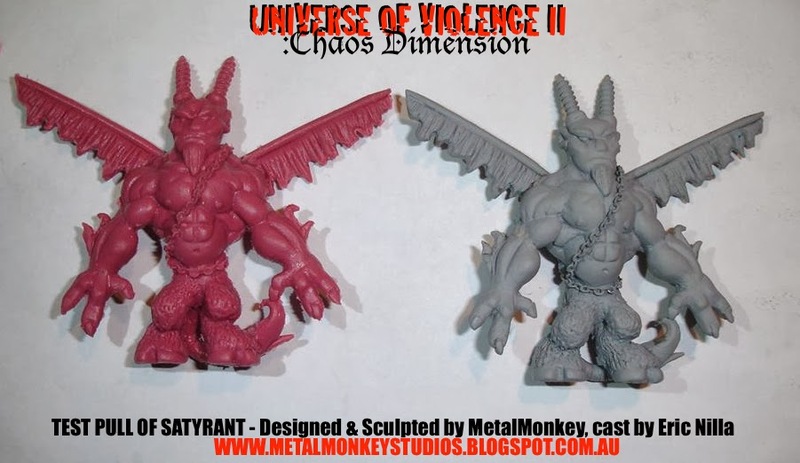 That's all for now, will be back soon with some another UOVII update as well as a few other things like mini-reviews on new indie minifigures (Such as new Micro Bastards by Ironhaus Studios & AMP figures by MeadowKnight) as well as progress on the awesome finalised Cthulhu Wars tabletop gaming pieces. But until then, be good. I can't compliment you on these enough, man. Fantastic work!